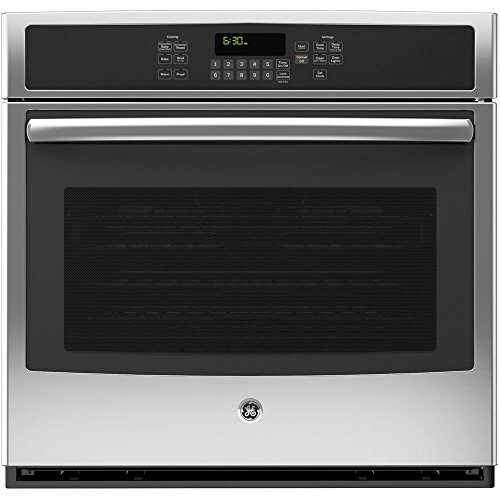 The GE Profile oven is one of many sleek, modern, full-featured kitchen appliances available today. GE's Profile line offers high-end features with reliability and approachable prices. GE Profile appliances are not bargain-priced, but their ovens especially provide substantial value for your dollar. Ovens come in several sizes and configurations. Many opt for a freestanding kitchen range. These combined units provide a cooktop and an oven. For this review, however, we are focusing on wall ovens. These are perfect for those who have a separate cooktop or who are looking for additional baking or roasting space. The GE Profile oven, single wall model, combines professional-kitchen quality with a streamlined design that blends with any kitchen decor. Is the GE Profile a Wise Kitchen Investment? 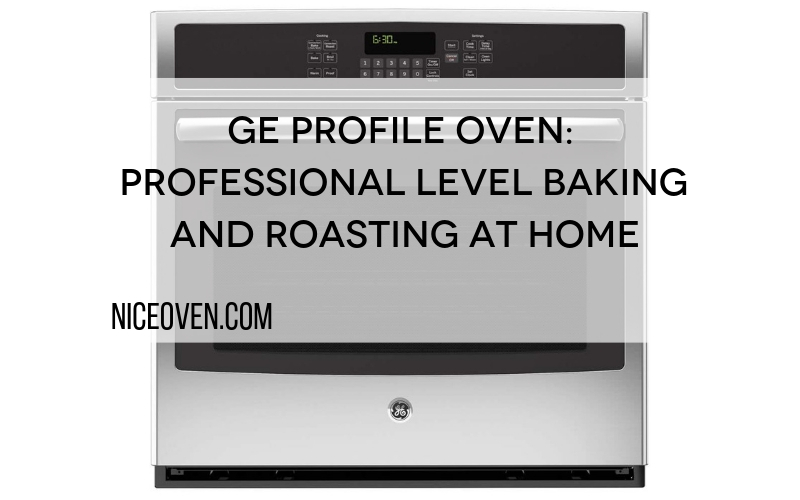 The GE Profile oven is part of the manufacturer's premier product line. These high-end modern appliances boast some of the most innovative cooking technologies available, and a unified look. When designing your kitchen, if you choose Profile products, you can rest assured that everything will match. This cohesive look is an essential, but often overlooked, component of kitchen design. Some people focus on the facing material, such as stainless steel, black or white enamel. When you use the same line for all appliances, you can more accurately coordinate your kitchen. For example, handles and controls will match. While you can get away with mixing and matching brands, the GE Profile oven matches seamlessly with other Profile appliances. Kitchen designers note that its better to mix ultra-high-end brands, such pairing a Viking range with a sub-zero refrigerator, than making your kitchen a mish-mash of whatever brand is on sale. GE Profile appliances aren't cheap, but they also are not an out-of-reach luxury. Wall ovens are designed to cook efficiently while taking up the least amount of space possible for baking and roasting. These separate ovens can be mounted higher, which facilitates cooking. When your oven is closer to eye height, your food is more visible. You can also spare your back and knees some stress since you do not have to hunch down to check on progress. Most importantly, separating your oven and your cooktop helps you potentially decongest your home cooking. If you divide kitchen work with a partner, one can handle baking while the other takes care of simmering pots on the stove. You'll appreciate this benefit during busy holiday cooking times when a freestanding range can present a challenging puzzle. 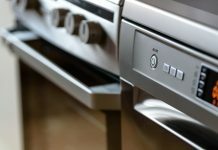 A wall oven can be simple, with basic controls such as using both top and bottom elements for baking and roasting or toggling the top element alone for broiling. Popular additional features include warming settings, as well as varying degrees of timer ingenuity and convection-cooking functionality. The GE Profile oven combines many of these features into an effective cooking workhorse. The GE Profile oven comes in several sizes to fit a variety of kitchens. We reviewed the 30-inch model, JT5000, which is an electric single-wall convection oven. It boasts all of the features that a modern home cook would need. 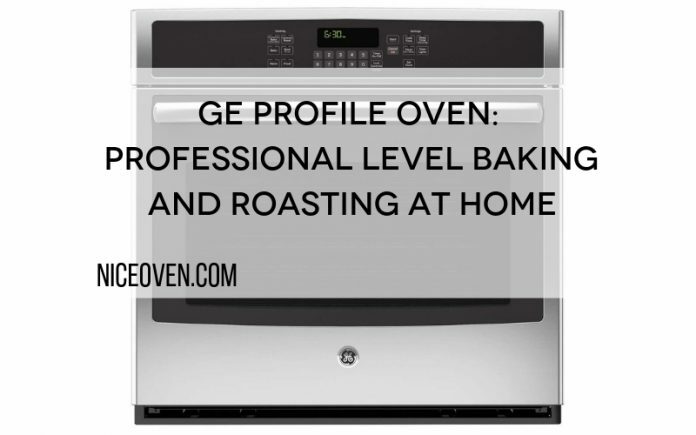 Here are some details on the GE Profile oven, how it performs, and how consumers rate the oven. The first consideration in an oven should be how well it does its job. Before we judge an oven's design, color, and bells and whistles, let's look at how well it cooks. The GE Profile oven comes with a 10-pass bake element. In an electric oven, the element is what glows orange and provides the cooking power. Ten-pass refers to how many loops the element has. More loops equal a more consistent cooking power. So, with the GE Profile oven, you can expect even baking and more efficient heating. When evaluating cooking power and efficiency, it's important to note special features. In the case of the GE Profile oven, the true European convection design incorporates a third element (in addition to the standard top and bottom heat sources) and a radiant fan to accelerate and spread heat wide. Convection cooking speeds certain types of cooking, such as roasting and baking cookies. Some foods do not come out well with a convection oven, such as souffles and bread. If you've ever suffered through baking a cake when the oven lightbulb has gone out, you'll know the importance of good lighting in your oven. You can ruin a cake, pizza, or other recipes through repeated opening and closing of an oven door. The GE Profile oven avoids this problem through Halogen oven lighting. The oven interior is black gloss, and the twin lights brightly illuminate so you can check on progress without having to disrupt temperature. Consistent with its sleek design, the GE Profile oven has glass touch operation with LED lighting for digits and displays. The accuracy and simplicity with intuitive controls is terrific, and unlike other high-end models with knobs, the GE Profile oven's controls are easy to clean. Feel free to smudge-up all the display buttons. All you need is a quick wipe, and your oven will look sparkingly clean. Not only do the glass-touch controls make cleanup a snap, cleaning the GE Profile oven from inside and out is easy, too. Like most ovens, it has a self-clean option. The GE Profile also features a steam clean setting. Just fill the bottom of the oven with clean water and set to steam clean. Messes such as baked in grease and burnt cheese easily dissolve in steam. If you prefer traditional self-cleaning, you also have that option with the GE Profile oven. The GE self-clean mode is perfect for removing food that gets baked onto cooking racks, too. The GE Profile oven has several unique features we've touched upon, including the 10-pass bake element, true European convection, and steam-clean functions. Also, the oven features four cooking modes: multi-rack convection roast, convection roast, thermal bake, and thermal broil. The oven also features five cubic feet of oven capacity so that you can multitask in the kitchen. Other features include warming and proofing modes to help keep foods at the right temperature and to aid in baking. The GE Profile oven also has a certified Sabbath mode for those who observe Kosher laws. Customers report that the GE Profile oven is a solid kitchen component. Several noted the convection fan's quiet operation, modern looks, and ease of use. The bulk of reviews are glowing, stating that cooking accuracy is improved and the convection heating is near-perfect. A few reviewers noted that the oven took longer than expected to preheat, and some noted build quality issues regarding the door. It has an Amazon rating of 3.8 out of 5-stars. 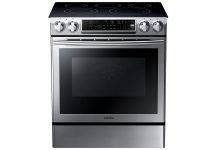 You can buy a GE Profile oven at Amazon, Home Depot, and direct from GE. 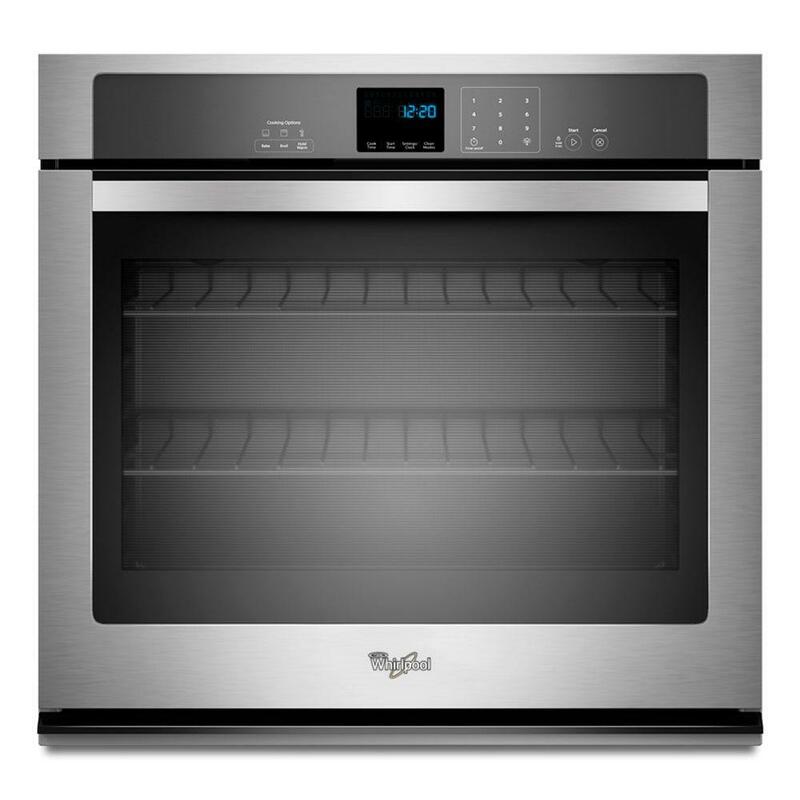 Since GE Profile is a mid-level appliance line, we chose Whirlpool Gold and Frigidaire Gallery single wall oven models as comparisons. Each of these ovens has near-identical features, so to differentiate we looked at ease of use, value for the price, and other things such as build quality. We also looked at customer support and brand reputation. 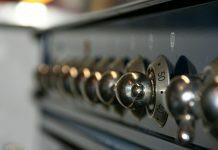 In determining rank, we reviewed each oven's features and customer reviews from actual purchasers. The GE Profile oven is a reliable kitchen appliance, but it is the best for the money? We took a look at some of the oven's competitors to see what features and level of quality consumers can get in a similar price range. When comparing appliances, it is essential to know the price points of various ranges. For example, in addition to GE Profile, GE has a Cafe and a standard GE product range. GE Cafe produces models with higher-end features that are more analogous to a professional kitchen. Prices and features are going to vary widely among these brands. For reference, the GE Cafe single wall 30-inch convection oven will cost more than the GE Profile oven. The standard GE oven price range is cheaper than the Profile. Other manufacturers have similar product lines. Whirlpool's entry in mid-level home kitchen wall ovens is the Gold line. In most respects, it is very similar to the GE Profile oven. 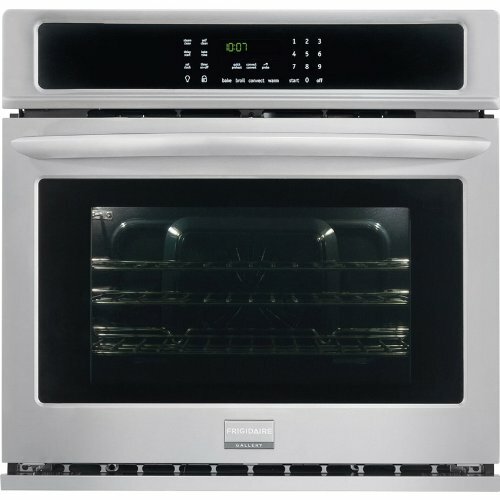 It touts true convection baking, a five cubic foot capacity, and touch glass controls. Whirlpool adds its Accubake technology, which aims to distribute heat throughout the oven without full-blown convection use more evenly. In this way, you don't speed up your cooking, but you can ensure more consistent results. Like the GE Profile oven, the Whirlpool Gold uses steam clean technology to avoid the need for harsh oven cleaning chemicals. Customers highly rate the Whirlpool Gold, indicating that it is an efficient and easy-to-use oven. Several, however, noted that the oven is difficult to install and that the baking racks are too flimsy. Overall, its rating is 4.4 out of 5-stars on Home Depot's website. Like GE and Whirlpool, Frigidaire offers a higher-end line of home kitchen ovens. The Frigidaire Gallery oven is a single wall oven that brings similar bells and whistles to your cooking. The most significant benefit of the Frigidaire is that it claims many of the same features as the other ovens with a considerably lower purchase price. For the lower price, you get a slightly small capacity: 4.6 vs. 5.0 cubic feet. While reviewers liked the looks and features of the Frigidaire, the lower cost also comes with a louder convection fan and slower pre-heating times. The oven has a rating of 4.8 out of 5-stars on Amazon. Compared with the competition, the benefits and shortcomings of the GE Profile oven become clear. GE is a well-respected brand, and its Profile series is one of its best offerings. Although the GE Profile oven faces fierce competition from Whirlpool, it is a well-made oven that brings kitchen-grade cooking to the home chef. Compared to the Frigidaire Gallery, the GE Profile is a clear winner. The price savings is not worth the lower quality and smaller cooking capacity. There are a few concerns over the time it takes to preheat the GE Profile oven, but electric models generally take some time to get to temperature. No oven rapidly reaches high temperatures from a cold start. The few comments that raised concerns about door build quality also do not reduce our opinion of the oven. Poor door alignment points to installation issues, and GE's strong customer service department is likely to address any issues such as these. Brand strength and customer support is a crucial consideration in buying an appliance. Overall, the GE Profile oven is a stellar addition to any kitchen. If you are looking to roast or bake, without being tethered to a cooktop, then a single wall oven is a great choice. The ease of use, ability to mount it higher than a freestanding range and ability to free up space in your kitchen are all reasons to buy a single wall oven. A GE Profile oven provides all of these benefits, plus a streamlined design and the backing of a world-class brand. Previous articleBest Convection Oven: A Closer Look At The Top Reasons To Invest One!